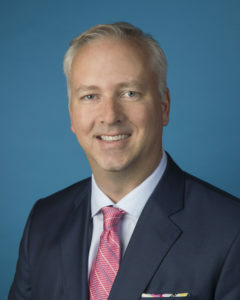 Jay O’Neill was appointed Chief Executive Officer and Registrar on June 11, 2018. Jay has been at the RHRA since 2011, most recently in the role of Chief Operating Officer overseeing finance, HR, IT, enterprise risk, and all other corporate functions, and has been instrumental in building and advancing the organization as it fulfills its mandate of informing and protecting seniors. Jay’s career spans many industries including manufacturing, distribution, pipeline and energy services, and a professional services firm where he assumed responsibility for corporate development. He is a graduate of the MBA program at the Rotman School of Management, University of Toronto. He completed his undergraduate studies in organizational development and political science at York University. He is also a director on the Board of the Bereavement Authority of Ontario.